Headquartered in Fremont, Calif., Digital Power Corporation (NYSE/Amex: DPW) designs, manufactures and sells high-grade customized and off-the-shelf power system solutions. Its products are in use in the most demanding telecom, industrial, medical and military applications. The efficiency and flexible platforms achieved in its products' small package sizes emphasize the company's commitment to a reduced environmental footprint. Amos Kohn has served as a member of the Digital Power board of directors since 2003 and was appointed president and chief executive officer in June, 2008. Mr. Kohn is a seasoned executive manager with more than 20 years experience in convergence technology development, business management, corporate operations, and product management. He has an extensive background in diverse industries, including telecommunications, cable television, broadband and broadcast platform solutions. 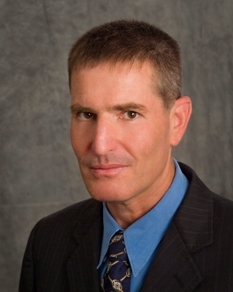 His background includes serving as the President of TechLead, a company specializing in professional services and consulting services to telecommunications, cable television, broadcast and wireless industries (since 2003); Vice President of Business Development at Scopus Video Networks, Inc., a Princeton, New Jersey company that develops, markets and supports digital video networking products (2006 through 2007); Senior Vice President of Solutions Engineering at ICTV Inc., a leading provider of network-based streaming media technology solutions for digital video and web-driven programming, located in Los Gatos, California (2003 through 2006); Chief Architect at Liberate Technologies, a leading company in the area of developing a full range of digital media processing for telecommunications and cable television operators, located in San Carlos, California (2000 through 2003); and Executive Vice President of Engineering and Technology at Golden Channel, the largest cable television multiple-systems operator (MSO) in Israel, where he had executive responsibility for developing and implementing the entire nationwide cable TV system (1989 through 2000). Mr. Kohn holds a degree in Electrical and Electronics engineering and is named as an inventor of several United States and international patents. CEOCFO: Mr. Kohn, how has Digital Power changed under your leadership? Mr. Kohn: I managed the strategic realignment of products from standard lines to custom solutions for vertical markets. Additionally, we transformed our corporate culture from an emphasis on products to a focus on product solutions. We identified and penetrated new niche markets, created loyalty with new strategic customers and revitalized existing accounts by providing unique cutting-edge solutions and immediate support. We also improved operations and instituted efficient management tools in all functional areas. CEOCFO: Would you tell us about your technology? Mr. Kohn: We develop products with extremely flexible architectures, enabling rapid modifications to meet unique customer requirements for non-standard input and output configurations. We are a market leader in developing and supplying high density power systems to meet growing demand for more functionality in smaller packages. Our high efficiency power systems are designed to conserve energy and increase system-level reliability. Our innovative designs use the most advanced resonant topologies and power commercial, medical and military applications. Our power systems support a power range of 50 W to 25 KW. We develop a broad range of rugged military product solutions that can operate and survive in harsh environments and that use specific product modifications or full custom design. These product solutions are designed to withstand combat environments and support mission critical operational requirements. Examples of applications that use our products in our various markets include, in the commercial market, routers, servers, fiber optic networks, scientific equipment; in the medical market, imaging, oxygen concentrators, endoscopy, surgical equipment; and in the military market, naval, airborne, land based communication, missiles. CEOCFO: What is the competitive landscape; what is the marketplace in general for what you provide? Mr. Kohn: There are many companies that provide power systems, and some are better known than others. However, we are focusing on advanced power solutions that use cutting-edge technology implemented in custom or other solutions. These solutions are based on our high-grade, featured-rich products and fit well in niche markets or mission critical application. Our strategy is to compete on quality features and technology, not necessarily on high-volume, low-cost products. We provide some of the most dense and efficient products that are available today for commercial applications. We generate more power and waste less energy while switching power than other market players. In addition, some of our products are designed to meet tough specifications that many other power supply companies just cannot support. Some of our competitors that focus on high volume do not approach the unique opportunities for which our technology know-how and size provides an advantage. CEOCFO: Is it all custom solutions or is it a combination? Mr. Kohn: Our products line split as follows: standard (off-the-shelf), modified-standard and custom. CEOCFO: Do you sell directly to your customers or is this through distributors? Mr. Kohn: We sell through both. We sell directly mainly customers for whom we are developing custom products. To some other customers, we sell through manufacturing representatives and through distributors. The process of developing full custom designed product solutions requires many direct interactions with the customer, from qualifying the requirements and developing prototypes, through qualification, approval and transition to production. This process might take 12 month or even more to complete and requires a tight relationship with the customer. We register these customers as "house accounts." CEOCFO: What is your geographic footprint? Mr. Kohn: We sell our products globally. We serve North America through our Silicon Valley, CA headquarters. In Europe, we sell products through our UK-based wholly- owned subsidiary, Digital Power Limited. However, in today�s economy, we are facing more and more market globalization; for example, we may "design-in" a product for a U.S. based company and after it approved by our customer, we receive production orders from the customer�s offshore (mainly in Asia) contract manufacturing (CM) arm. To fulfill these orders, in many cases we user our own offshore CM to drop-ship our products directly to our customer�s CMs. This globalization means that although we design-in our product for a U.S. company, the products that we deliver never reach this country. Nevertheless, we continue to use our local resources to manufacture products for military applications, for prototypes, for short production runs or that require quick turnaround. CEOCFO: How has business been over the last couple of years and have you seen a change as the economy seems to be improving? Mr. Kohn: 2009 was tough for us. The global recession affected our business as it did many other companies. Our customers and our raw-material suppliers scaled down, which affected on our business. Because we manufacture products that are components in a system, we were one cycle behind and did not take a hit until 2009. Despite the difficulty in 2009, we moved out back to a growth path in 2010. We took to production in 2010 some of the custom design products that we developed in 2009, which positively affected our revenue. We also won some higher volume business that requires our high-grade, reach-feature products with some custom modification. Moving to 2011, we will continue to focus on releasing custom design products to production, wining new designs and selling more of our off-the-shelf products. CEOCFO: Do you do much investor outreach? Mr. Kohn: We meet several times with different investors and analyst forums and alliances, mainly in NYC. However, we are not currently actively engaged with any specific investment group. In the future, we might take a different direction and we will be happy to discuss the right opportunity when it comes. CEOCFO: In closing, why should potential investors pay attention to Digital Power? Mr. Kohn: Investors should pay attention to Digital Power, because we have innovative power technology, robust product solutions and a large customer base. The company has been in the market many years, is well established and recognized by the market place. The size of the company vs. what the company brings might also trigger investors to take a serious look at the company. It is a mature and well organized company.